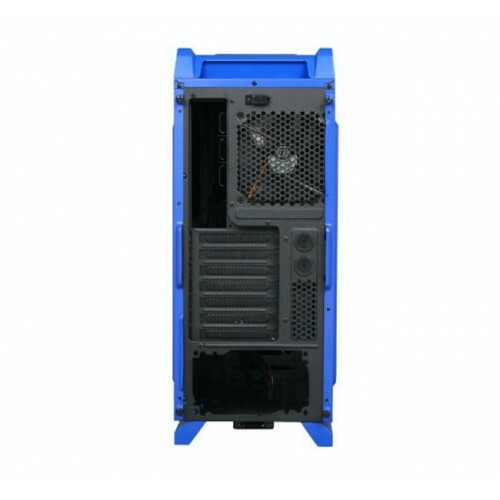 The newest member of Chaser gaming series, Thunder blue enclosure made for gamers to gear with the latest gaming component, offering not only style and personality but an exceptional combination of cooling, performance and expandability for gaming purists to ensure true enjoyment while in or out of the game. The sapphire blue metal meshed highlighted with silver stripes on the front panel combine with a large transparent side window panel, it hard not to leave your eye off it. Top panel has implemented two of latest data transfer SuperSpeed USB 3.0 ports, a HD microphone and headset jacks, plus a placement platform for users’ electronic devices such as USB/drives/mobile/MP3. Preinstalled two of 120mm fans including a back blue LED fan to optimize system ventilation. In order to keep the interior dust free, all intake ventilation holes comes with dust protection including a removable dust filter at the bottom of the chassis. 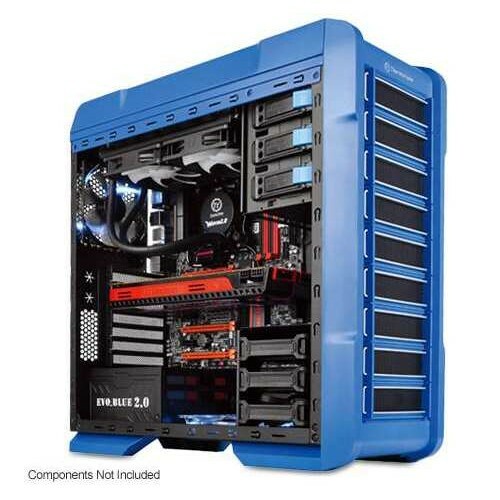 Innovative 5.25” & 3.5” tool-free drive bay design minumized the hassels of installing ODD, HDD and SSD devices. Two retained holes support LCS, three retained holes for advanced cable management ,one large CPU cut-out to ease on CPU cooler installation and removable HDD rack to support extra long graphic cards. 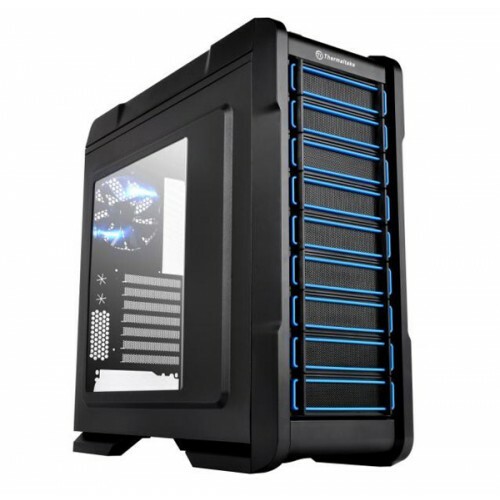 Enables user to build up a complete high-end solution with ease with 240mm radiator liquid cooling system and extra long graphic card supported to protect user’s hardware and increase CPU’s overclocking potential, most importantly delivers outstanding cooling efficiency in the entire case.